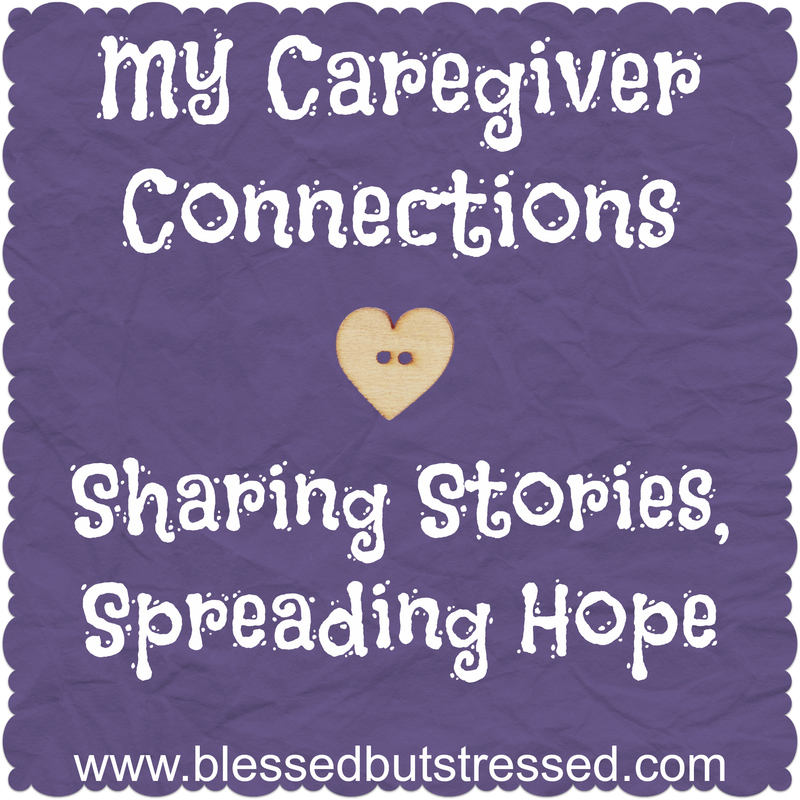 Caregiver Connection: I met Bethany through the Five-Minute Friday twitter parties (where scads of bloggers meet each Thursday night to chat, encourage each other and wait for our prompt from Kate Motaung). Who Cares for Her: Bethany discovered the beauty of a community that stepped in to act as her caregiver. Cancer has no sympathy. It comes without warning. The word just slipped right off my doctor’s tongue as if he had said it before. Of course he had, but not to me. Not to a young wife, mother and family minister. Not to someone that is needed by so many others. Not to someone who desperately lived each day to fill the needs of others. Not to someone who had no clue how to think of her health first before the needs of others. How dare he utter that curse word—cancer—in my direction. How dare God allow cancer to attack my life right now? I was doing what He wanted me to do. He was supposed to protect me. How dare He allow this to wreck my life? I became so very angry at God in that moment. And my walls of security began to shake, slightly. I returned to my office just hours after receiving the news. I had to be strong. I called the head of the elders and let him know that I might need to change my schedule a bit. I didn’t answer. I always have words, but I couldn’t even muster up an excuse for my silence. I looked away, down, stared momentarily out the window in hopes that he would ask another question. Please, don’t let this conversation begin this way. The patrons around us most likely heard the bricks of my wall rumbling a mile away. I couldn’t protect my heart around him. He saw right through the walls I worked so hard to build up. Walls to protect how I really felt about the chaos breaking lose around me. My mouth opened. Vulnerability consumed me in that moment. Words came flowing out that, truthfully, I hadn’t heard out loud, especially not from my lips. Yet, my heart danced in the midst of my uncertainty because for the first time I allowed my heart to be seen. My fear. My questions. My anger. It all came rushing out freely and safely. 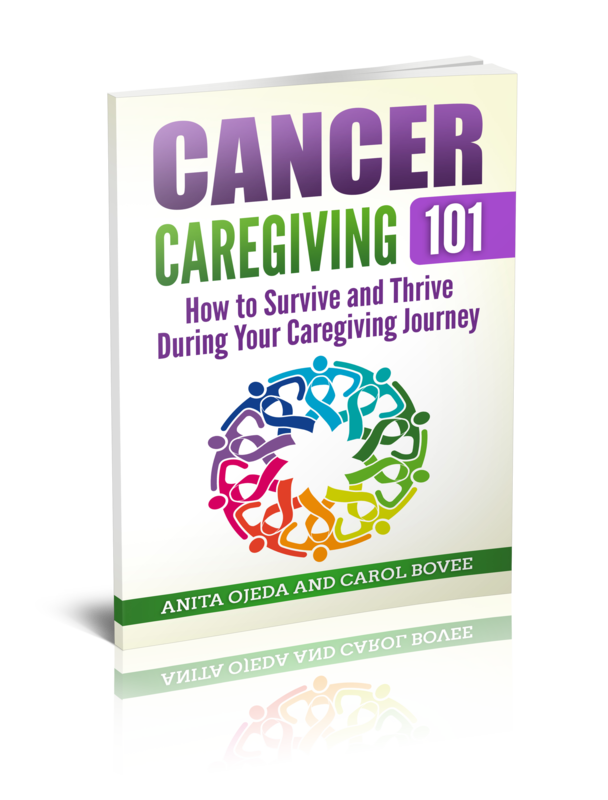 That conversation opened the door to a friendship caregiver journey that would save and change my life. You see, with close family living several states away and a husband in full-time school, I relied on the help of our church family to maintain any sense of foundation in our life. In order to trust others, you must break through the wall of security guarding your heart. My friend, you cannot become humble until your friends see you at your weakest moments. That is exactly what God allowed to occur to open my trust in Him and others through my cancer battle. 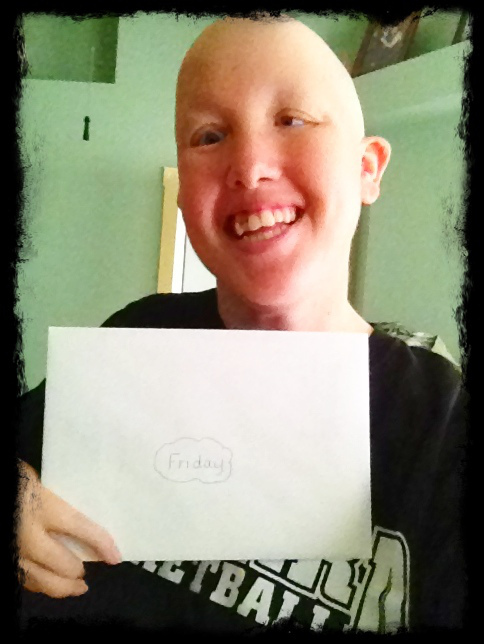 The very first day of chemo, I was met by an envelope. As I held it in my shaking hand that day, the big “M” served as my focus point during the needed vein search. The envelope was labeled “Monday.” As I opened the card, a tear rolled down my cheek and splashed onto one of many tubes that now crossed over my body. Inside was a prayer box and a note that simply reminded me that I had prayer warriors lifting me up right in that very second. I knew I was being lifted up…I not only felt it but held the card in my hand as proof. I was not alone. Tuesday was met with another card and another encouraging note. Wednesday was hard. I remember sleeping by our toilet that night, drenched in sweat, tears and towels…but not far away I had Wednesday’s card. Opened. Close. Always in view. Sometimes it’s not the presence that people need, but just the reality that someone out there cares. I clung to that reality. I had people that cared and were worth fighting for everyday. The more treatments I had, the more cards I received. One for each day. Who was this card giver, you ask? She was the wife of the “How are you really doing?” question man. The one question that made a wall crumble at just the right time to welcome love like I had never allowed myself to experience before. And it just kept coming. Church families would ring our doorbell every other evening with hot meals ready to serve to our family. Our phones rang constantly with offers from others to watch our two very busy boys, allowing time for me to rest. I never lacked a ride to doctor’s appointments. So many people texted thoughts of encouragement to get me through the day. I had hospital visitors that literally came just to deliver a smoothie knowing that was the only food I would be able to eat that day. I had friends follow me through the hospital hallway with a chair during my physical therapy appointments so I could stop and rest. I had a dear friend that booked me a haircut and a mani-pedi completed right in my hospital room. I had friends that literally picked me up off the bathroom floor to get me back in bed again. Friends that knew to take my keys and drive me home when I needed it the most. Friends that came to pick me up at insane hours of the day and night to venture through the emergency room to discover which medication caused yet another combusted reaction. Sometimes caregivers take a community form. They join together to bring hope to a heart that is finally able to receive this ambush of love. Sometimes God uses our darkest life challenges to allow us to feel His overwhelming love deeply for the first time. 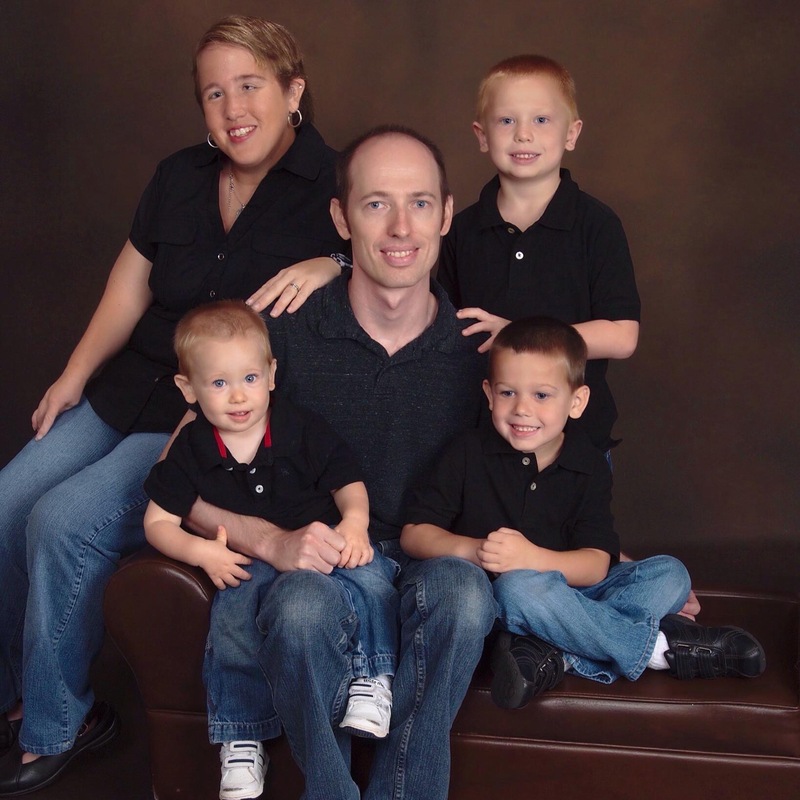 My tumors were absent from a routine CT scan in April of 2012 and have not returned. I am still in remission status. God saved my life and added to our once thought complete family. 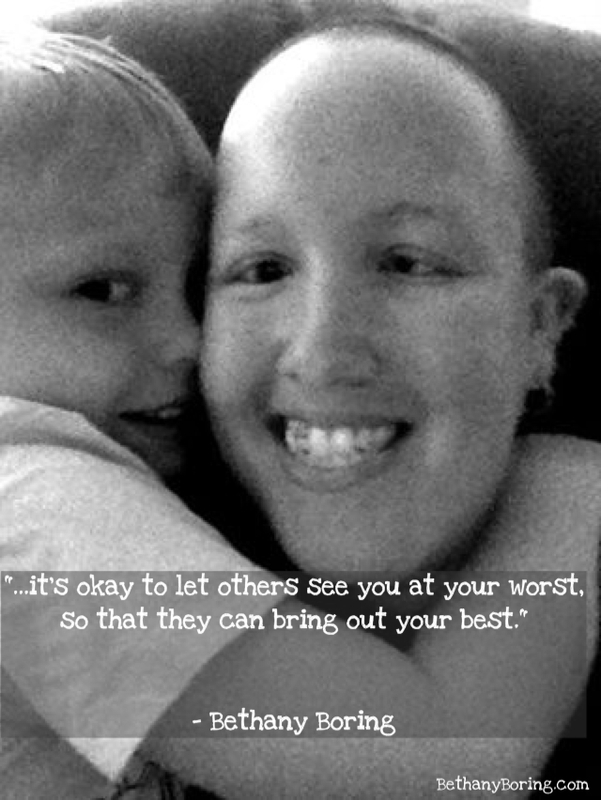 Just three weeks after my final chemo treatment, I learned I was pregnant. The baby that I was told would never survive in my womb is now a happy 20-month-old boy with bilateral hearing-loss (just like his mom). I’m also a full-time stay-at-home mom who loves to write and speak encouragement to others. To my caregiver friends, you are so deeply called and loved. Keep on loving the ones God has placed in your path, friends. Love them at their most humble moments and show them the hands and feet of our God they can trust. Never underestimate your role. Who He calls, He also equips. For my friends facing a storm of uncertainty, I pray that someone will approach you in the midst of the dark clouds. I pray they look you right in the eye and ask, “How are you REALLY doing?” and wait for your walls to shake. I pray God humbles you to the point you can see Him in such a close, personal and needed way. I pray that His chosen caregivers see you at your most humble moments and be part of your walk to growing closer with an awesome God. So friends, how are you REALLY doing? I’m right here…take all the time you need. Linking this story with The Weekend Brew link up. Find more inspirational stories at My Caregiver Connections.